I am thrilled to have been elected as a Fellow of The Australian Academy of Technology and Engineering (ATSE) as part of the 2018 cohort. It is a privilege to be part of such a prestigious organisation alongside such esteemed Fellows, and I look forward to contributing to the important work of the organisation. I share this honour with four other federal government professionals; Professor Andrew Campbell and Dr. John Dixon at the Australian Centre for International Agricultural Research (ACIAR) and Dr. Gordon Frazer and Dr. Dong Yan Wu at Defence Science and Technology (DST). I am particularly looking forward to leveraging this role to further influence Australia’s place in the world of innovation, science and industry. These are key to the future of Australia’s economy as well as to the economies of our neighbouring countries. By building up Australia’s capability and global recognition we will grow our own economy; and by helping those around us we will build opportunity, security and strength in our region. 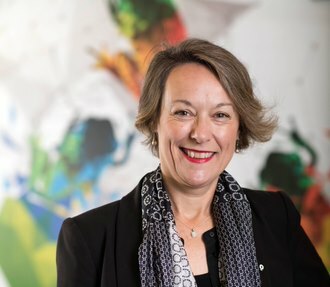 This appointment gives DFAT access to world renowned Fellows with expertise and networks across a broad range of technology, innovation and industry that will help to inform policies and programs. In my role as Chief Innovation Officer at DFAT, I believe it is particularly important that we collaborate with the Academies on International Diplomacy, showing the world that Australia’s economy is modern, and harnesses the potential of innovation, technology and science. I note that there are significantly more male ATSE Fellows than female. I will continue to advocate strongly for women in innovation, technology and science, and I hope that my role as a Fellow will give me a greater voice to do so. Click here for the full list of the 25 Fellows inducted for 2018.